The average woman puts over 500 synthetic chemicals on her skin- every day. When I wrote my book, Energy Reset: Remove the Toxins, Reset Your Hormones, Restore Your Energy, I was floored by what I learned as I researched and talked to experts about the sheer number of toxins that make their way into our personal care and beauty products, cleaning products, furnishings and even our food. We are practically swimming in a toxic soup that is wrecking our hormones, damaging the thyroid and derailing our energy and mental well-being. The good news is, it's not as hard to protect yourself from every day toxins as you might think. Knowing where these hidden toxins lurk and how to avoid them is key to keeping your liver happy and your hormones healthy. Below are five of the most common toxins that can damage hormones and the best ways to avoid them. One of the most ubiquitous toxins in our society, phthalates are a class of chemicals whose jack-of-all-trades ability to perform a whole host of roles in both industrial use and personal care products means that phthalates are quite literally everywhere. From eyeshadow to liquid soaps to perfumes and moisturizers, women who use conventional skincare and beauty products are exposed to low levels of phthalates daily. 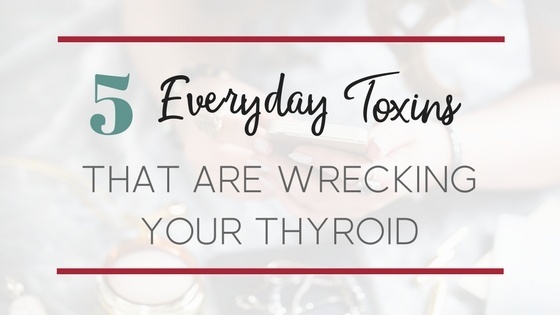 Research shows that these toxins are definitely worth avoiding. In fact, even the government has taken notice of the dangers of phthalates. In 2003 the CDC recommended phthalates be studied to assess their safety. The results were not good. Studies linked phthalates to asthma, autism, breast cancer, and reproductive issues- just to name a few. The Consumer Products Safety Act banned phthalates from use in children's products as well as banning certain classes of phthalates from all products. But there are still phthalates lurking in many conventional personal care products- and they are usually not listed on the label. Protect Yourself from Phthalates- Until phthalates are banned for good, you can avoid them by looking for products that are labeled as phthalate free. When choosing skincare and beauty products. Since phthalates are also a competent of plastics, avoid them by choosing foods packaged in glass rather than plastic. (Plastic milk jugs are a major source of phthalates). Are you drinking (or bathing in) unfiltered tap water? Chances are you're getting a hefty dose of another common toxin that interferes with healthy thyroid function- fluoride. Fluoride has been added to public drinking water in the U.S. since the 1950s- despite the fact that research has failed to prove that doing so decreases the risk of dental cavities. Instead of improving dental health, fluoride in our drinking water decreases thyroid function by displacing iodine. 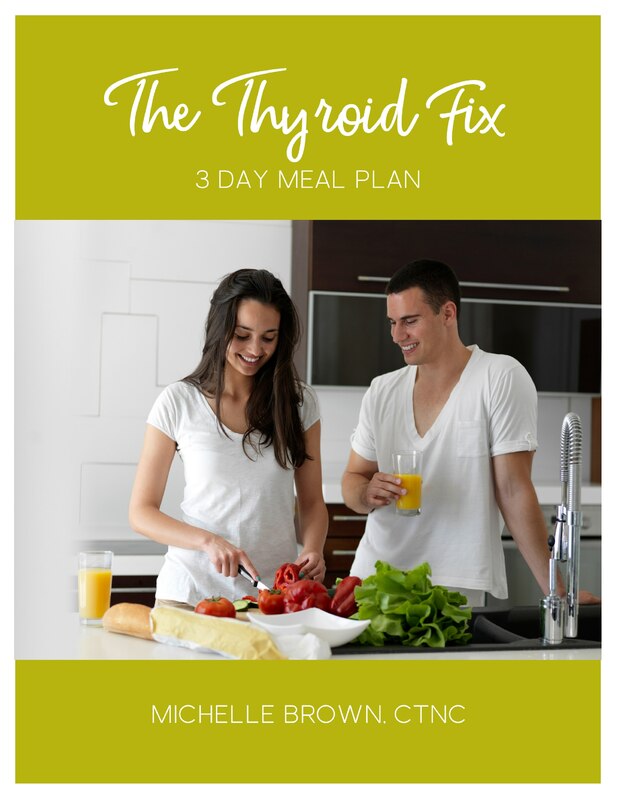 Since iodine is an important building block of thyroid hormones, it's no surprise that thyroid function is impaired. Protect Yourself from Fluoride- Buy a quality water filter that can filter out chemicals like fluoride from your drinking water. Don't forget about a shower filter as well, since toxins can be absorbed through the skin. If your favorite makeup and skincare products boast a long list of unpronounceable chemicals on the ingredients list, there's a good chance parabens are among them. Used as a preservative to keep products from spoiling, parabens have the unfortunate side effect of disrupting hormones, causing reproductive issues and even increasing your risk of certain types of cancer. Studies have shown that parabens are estrogen mimickers- chemical compounds that act like estrogen in the body and can lead to a type of hormone imbalance known as estrogen dominance. Heavy, painful periods, PMS, moodiness, brain fog, and suppressed thyroid function are all hallmark signs of estrogen dominance. When left unchecked, excess estrogen can lead to even more alarming problems like endometriosis, gall bladder problems and increased risk of breast cancer. Protect Yourself from Parabens- Look for skincare and cosmetic products that are labeled as Paraben-Free to avoid this nasty toxin. Lead in lipstick. Mercury in seafood. Arsenic leaned into our soils from pesticides and other industrial uses. Heavy metals, such as mercury can displace iodine in the thyroid. This means the thyroid won't have the building blocks necessary to produce thyroid hormones, and your energy levels will suffer. Just as alarming, heavy metals can accumulate in the brain and other organs, leading to cognitive issues, reproductive problems and increased risk for cancer. Protect Yourself from Heavy Metals- Choose organic foods and produce to avoid heavy metals from pesticides. Look for toxin-free skin care and cosmetics to avoid lead and arsenic. Avoid seafood that is high in mercury, such as tuna and swordfish and choose safer options, such as salmon or cod. In fact, the circadian rhythm is so vital to hormone balance, that it's been referred to as the conductor of your hormonal symphony. When the circadian rhythm is out of balance, you'll likely experience difficulty sleeping, leading to problems regulating cortisol (affectionately known as adrenal fatigue), as well as an imbalance in the hormones that control hunger and appetite. EMFs have also shown a strong link to tumors in the head and neck, associated with cell phone use, so a judicious use of Wifi devices is important for keeping your hormones in balance and your health in check. Protect Yourself from EMFs- Since our love affair with Wifi isn't likely to end any time soon, the best way to protect yourself from EMF exposure is to practice safe Wifi use whenever possible. Limit the amount of time you and your family spend using Wifi, including cell phones, tablets and laptops.Turn your devices to "airplane mode" when not in use and turn your wireless router off at night when you are sleeping. Definitely avoid sleeping with Wifi devices in room at night, including your cell phone.